Heroes inspire us. They help others. They show us how courage, strength, and bravery can save the day. 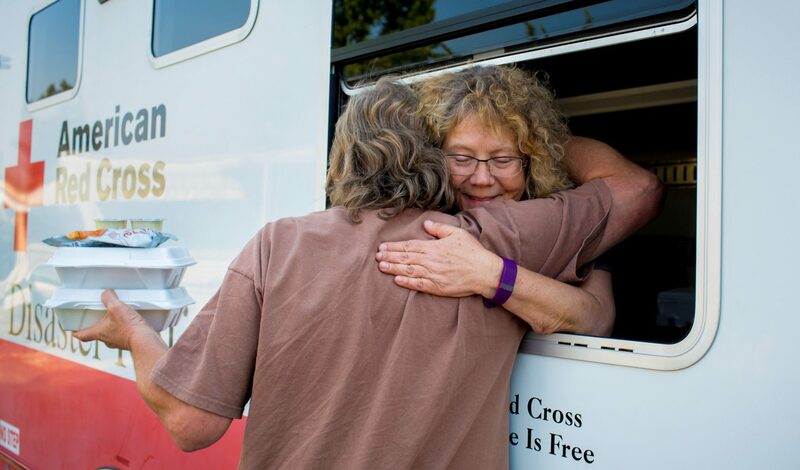 Each year, the Minnesota Red Cross honors local people who went above and beyond to help others — either by saving a life or enriching and transforming lives over years of service. Our heroes are ordinary people who do extraordinary things. Through January 4, we’re accepting nominations for the 2019 Heroes Awards. To learn more and to be inspired, check out our 2018 Heroes stories below. As the Co-Founder and Board member of the Pay It Forward Fund (PIFF), Scott Bissen was awarded Community Hero for his 13 years of committed service to aid with the demanding financial pressures many cancer patients face during their treatment period. Since inception, PIFF – a Minnesota non-profit fund of Ridgeview Foundation—has paid in total over $2.2M in household bills to support nearly 2,000 Minnesota patients who are undergoing cancer treatment. Scott and his wife understand the pressure that families go through in such a difficult time. Through the PIFF, they can take some of the weight off for those families who struggle paying bills due to illness. For many families, even with insurance, it’s hard to maintain financial stability due to the medical bills and loss of work hours some people face through cancer treatment. When Joshua Guyse received a call from the distressed soldier, he immediately contacted his supervisor, Matthew Aeschliman, and the two traveled together from the St. Cloud, MN area to meet with the Soldier in the Twin Cities. Upon arrival, they implemented their training on Suicide Prevention—actively listened and calmly controlled the situation. Through their effort and care, Josh and Matt gained the Soldier’s agreement to be escorted to the Minneapolis Veterans Affairs Medical Center (VAMC). Beverly Bartz has been a Red Cross volunteer for 65 years. She was awarded as the Give Life Hero for the incredible impact she’s made at the Sleepy Eye, MN blood drives. She’s helped give the gift of life to others by coordinating blood drives since 1964, collecting 88,000 units of blood and impacting potentially more than 24,000 lives. Vernon Taplet was moving his car in the garage when it hit something that caused a gas spill and the fire took over. Brady and Zack Houle noticed a dark cloud of smoke and ran out to help Vernon who was on the ground crying out for help. Thanks to their courage they were able to move their neighbor to safety. Brady is currently studying law enforcement at Century Lake College. He said, “I always wanted to help people and had the opportunity to do it…At the time I didn’t realize I was falling back on my training.” He and Zack were able to convince Vern to be moved to safety despite the pain he was in from the fall. “It was an adrenaline thing. I put my shirt over my nose as I went running. We just wanted to get [Vernon] out of there. There was stuff with gas on it, things that could have blown up,” Zack explained. Friends Tim Walsh and Van Dickerson were enjoying the day with a friendly tennis match when suddenly Tim began feeling ill. In a dark turn of events, Tim fell motionless onto the floor, his heart had stopped due to cardiac arrest. Van’s immediate response is one of the reasons why Tim is here today. Van is trained on CPR for his work at Minnesota Adult and Teen Challenge, who utilizes the Red Cross CPR class. He never imagined that those skills would save his friends life one day. Van effectively handled a critical situation and took every necessary step: dialing 911, checking his vitals and performing CPR. Virginia Marsh and Lt. Paul Stricker stopped on the side of Highway 394 to save the life of 6-week old Elise. Kristin Lonsbury was driving her premature daughter Elise to the doctor when Elise began choking on her vomit. She quickly stopped on the side of the road and tried to figure out what was wrong. That’s when nurse Virginia Marsh came over and began conducting CPR. Lieutenant Paul Stricker also happened to be driving by when he saw the women. He quickly got out of his car and assisted with CPR and communicating with 911 dispatch. Out of all the people that where driving by that day on Highway 395, these two heroes didn’t think twice about stopping and rushed to help a mother and child. “Virginia ran a fair distance to get to us, arrived on scene with such grace, compassion, and confidence, and then was able to save my child’s life because she just knew what to do,” Kristin says. “Paul’s presence on-scene was one of the main reasons why my daughter is alive today. He was calmly assertive and knew exactly what needed to happen in what order. To nominate a hero, click here.